A mobile meditation studio hit New York City’s streets on February 5th, and made a special afternoon stop in front of the AN office today at 21 Murray Street in Manhattan. 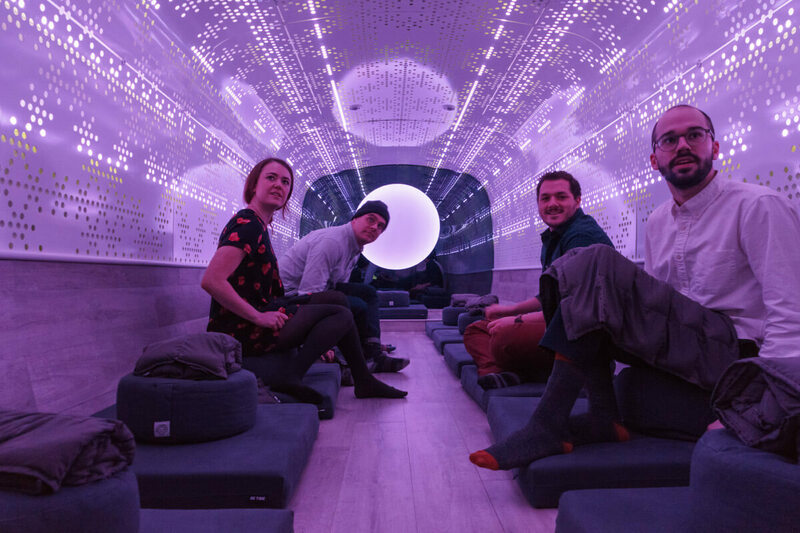 The BE TIME bus, with interiors designed by architects Rolando Rodriguez Leal and Natalia Wrzask of AIDIA STUDIO, will offer 30-minute meditation sessions for stressed New Yorkers. After originally planning on launching in late January, the bus has finally been spotted rolling around Manhattan. At only 27 feet long and seven feet, four inches wide, the interior of the bus had to feel larger than it actually is. 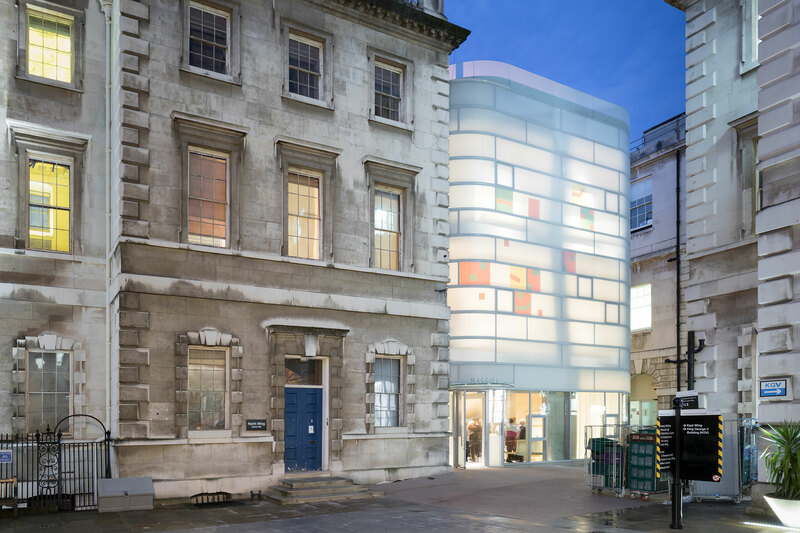 The designers worked around this limitation by custom fabricating a series of reflective metal panels, perforated with a repeating fractal pattern, that gives the space a light and airy feel. Wood paneling and flooring was used for a more typical studio look, and all of the walls curve to soften the geometry of the space. 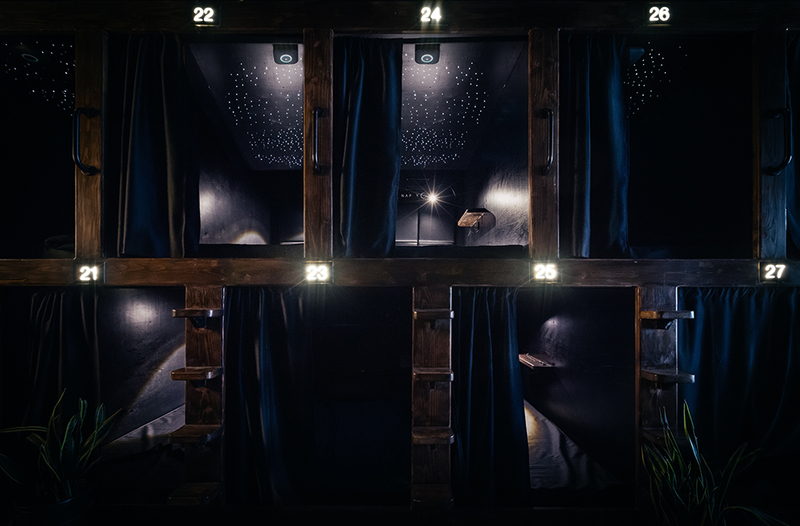 Being inside of a bus, the studio naturally has two ends, which allowed the designers to build out focal points for the participants. A glowing, color-changing orb sits at the far end, and represents an awakened “third eye”; practically, it serves to focus guests’ attention on the instructor. Both ends of the bus have been clad in a mirror finish, and this interplay with the lack of hard angles creates a wrapping infinity effect. The BE TIME bus held a special half-day public unveiling event on February 5th from 12:00 pm to 4:00 pm at Madison Square Park, complete with free classes. After the new launch, the bus will make stops around the city and announce their upcoming locations on the BE TIME website and via Twitter. Thirty-minute sessions for first-timers will cost $10, a discount off the typical $22 cost. 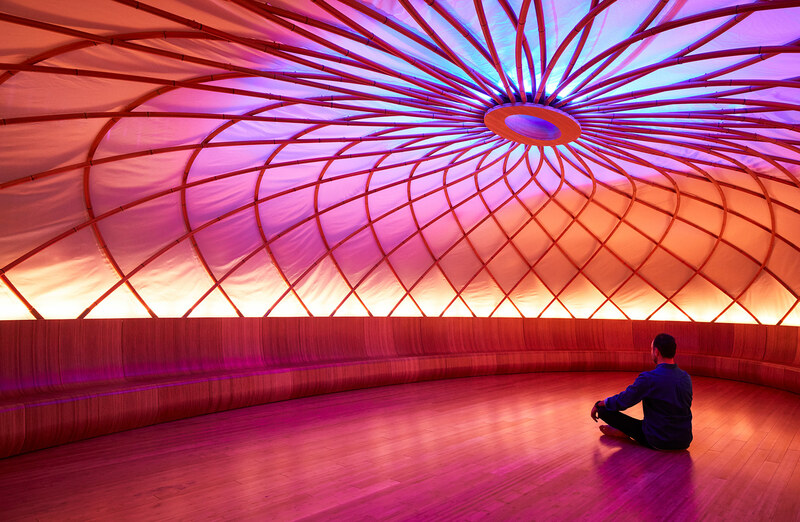 Designing for mindfulness has been a hot trend lately, as architects have integrated meditation studios in nearly every project type, including schools. With the launch of BE TIME, wellness design has gone mobile. For most teens, high school is an angsty time. This year, though, students at select New York City public high schools can de-stress in meditation and yoga rooms designed by emerging local firms. Today First Lady Chirlane McCray, students, and their teachers gathered at a Brooklyn school to announce the completion of 15 "wellness spaces" in public high schools across the five boroughs. 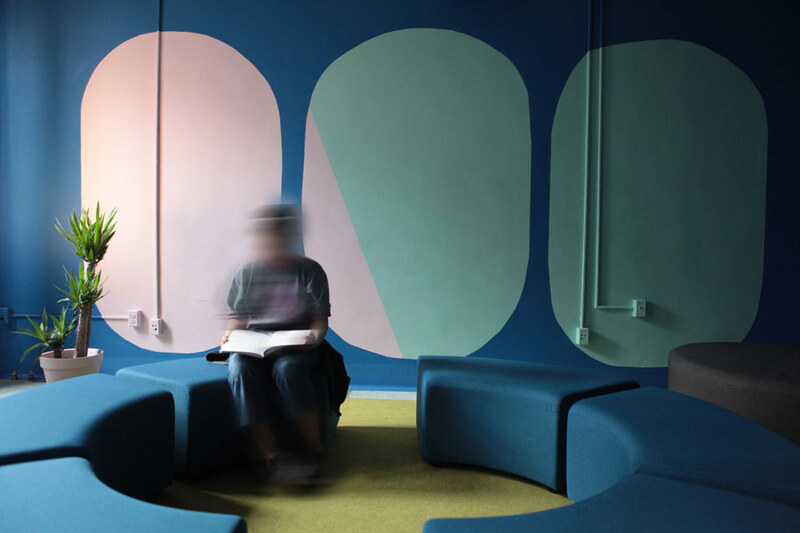 The student-driven pilot program paired teenagers with faculty, architects, and graphic designers to transform underused spaces, indoors and outside, into peaceful areas that foster mental health. In all, the wellness rooms will serve almost 10,000 students. Six emerging firms designed the spaces, nine of which are indoors. Though every room is different, the spaces feature hydroponic gardens, recording booths, meditation areas, and restorative justice rooms. (The open-air classrooms share much of the same programming but also feature outdoor gardens.) The grant-funded projects are part of Mental Health by Design (MHxD), a program that's run through ThriveNYC, McCray's mental health initiative. MHxD asked Karen Kubey, an urbanist specializing in architecture and health, to match architects to the chosen schools. Kubey reached out to young New York firms, connecting them with projects in nine schools across four boroughs. The rooms were done on a tight budget in a short timeframe. Kubey paired Brooklyn's Peterson Rich Office (PRO) with two Bronx institutions, The Academy for Career and Living Skills (ACLS) and International School for Liberal Arts (ISLA). With $10,000 and less than four months to complete their work, the firm transformed a large unused classroom at ACLS into a Mindfulness Space, complete with hanging plants, Yogibo teardrop beanbags, cubby shelving, and a bold felt-and-paint mural, pictured above. At the ISLA, students and architects brightened their Safe Space, a former classroom, with new curtains, lighting, and seating from Knoll. The fixtures, paint, and furnishings were mostly donated or bought at a discount. In the South Bronx, Daniel Kidd, founder of DEMO Architecture and a professional musician, collaborated with students at Longwood Preparatory High School to build an audio booth so students could record and share music. The studio connects students to neighborhood's musical heritage—the South Bronx is the birthplace of hip-hop—and gives them an outlet to bond over music. In addition to PRO and DEMO Architecture, Kubey worked with ATTN-ATTN, Common Bond Design, Creative Art Works, and Homepolish on MHxD wellness rooms at other high schools. At all sites, graphic designers at Hyperakt partnered with two students from each school to brand the spaces, with students designing posters to promote their new facilities and increase mental health awareness. Correction 7/7/17: The article initially stated that Water Street Tampa was spread out over roughly one square mile. It is on nearly 50 acres. A $3 billion project will add Tampa’s first new office towers in almost 25 years and is set to reshape the city’s downtown. The nine-million-square-foot development will take just under a decade to build. 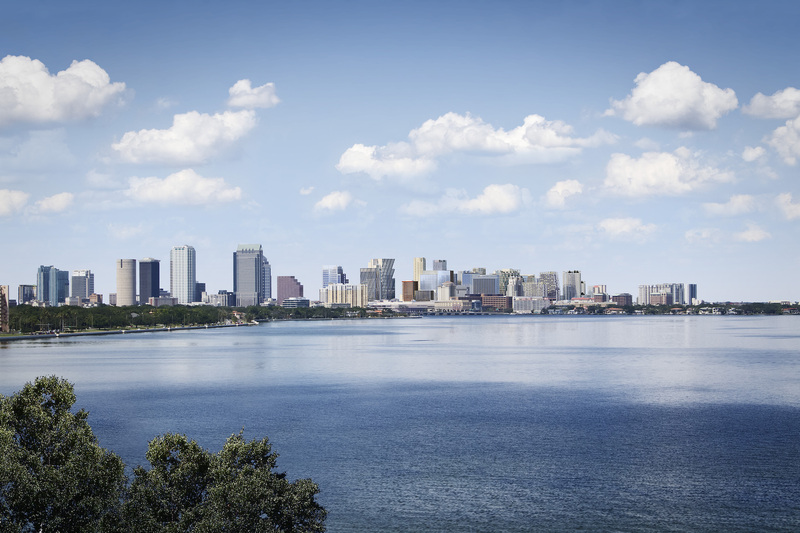 Spread over almost 50 acres on the edge of the Garrison Channel and Hillsborough Bay, one of Water Street Tampa's focal points is a new college and medical center via the University of South Florida. But the Morsani College of Medicine and Heart Institute is only part of the package: The development will include 3,500 condominiums and apartments, two hotels with 650 rooms in total, and one million square feet of mixed-use retail threaded between 13 acres of public space. According to a press release, the project will break ground this fall, with the college's ribbon cutting set for a not-too-distant 2019. That building will be the first of the development's 18 buildings to open. So who's behind the project? The developer is Strategic Property Partners, an alliance between Jeff Vinik, the owner of the NHL's Tampa Bay Lightning, and Bill Gates's Cascade Investment. In addition to this mega-project, and sibling projects in the Sunshine State, Construction Dive notes that there's a substantial number of new development in Downtown Tampa. The latest is Lafayette Place, a tri-tower complex near the University of Tampa, that will feature a hotel, apartments, office space, plus restaurants and entertainment programming over 1.8 million square feet. Water Street Tampa is seeking a special wellness certification through the International Well Building Institute (IWBI). Like the WELL building certification, its close cousin, the WELL Community Standard applies to new developments that encourage healthful behaviors, like walking, while mitigating environmental hazards like noise and air pollution that detract from quality of life. It's a relatively new framework, but given how quickly wellness has spread from the crunchy margins to the mainstream, the designation is catching on: In March, Gensler and construction services company Structure Tone scored the country's first WELL office certification for a New York City building. At Water Street Tampa, all buildings will be cooled by a central facility, eliminating the need for cooling towers atop each individual structure. Instead, the developer promises green roofs with views over the water and downtown.